It’s been more than 40 years since Koko, the only “talking” gorilla in the world, captivated the public with her uncanny ability to communicate with humans. Her unique life, which she continues to share with Penny Patterson, the psychologist who adopted her as a baby, is revisited in-depth in a new PBS and BBC documentary, KOKO − THE GORILLA WHO TALKS premieres Wednesday, August 3, 2016, at 7 p.m. on OETA-HD. 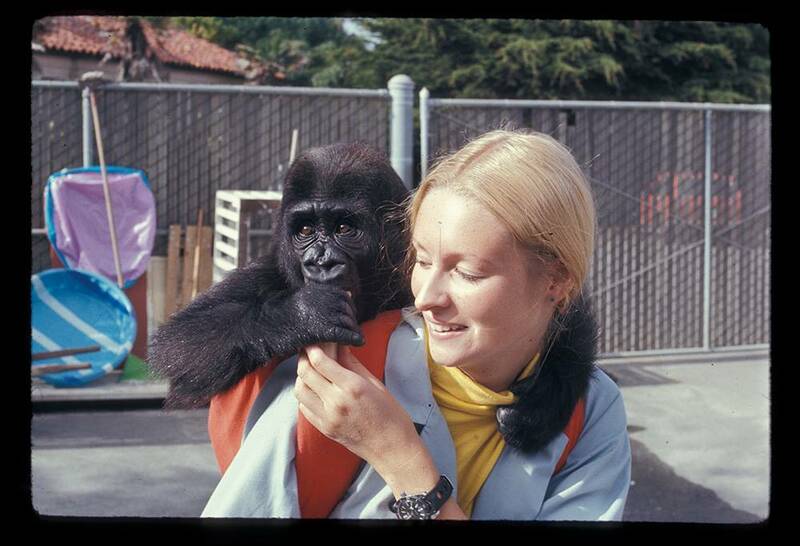 KOKO − THE GORILLA WHO TALKS takes viewers back to 1971, when Project Koko started as Penny Patterson’s Ph.D. assignment to teach sign language to a baby gorilla. As Koko began to communicate with Penny, an intense bond formed between them and the teacher transformed into both mother figure and companion for more than four decades. The public’s fascination with Koko made her a star. Koko’s unique life has been filmed every step of the way; more than 2,000 hours of footage exist, capturing the dramatic moments, many of which appear in this film, including Penny’s battle to keep Koko from being reclaimed by the zoo where she was born, Penny’s clash with academic critics who doubt the validity of her claims, the founding of The Gorilla Foundation, and the image of Koko mourning the death of her kitten – a moment that bought her international fame. KOKO − THE GORILLA WHO TALKS is presented as part of a multi-title co-production deal among PBS, BBC and BBC Worldwide North America. The partnership provides a pipeline of the high-quality, entertaining factual programs that PBS and BBC audiences have come to expect.